The Kerala tour packages cover many things other than the Kerala tourism; it even helps you in getting to know the state, profoundly. Other than its world-renowned backwater. This Kerala tour package includes Kovalam- the internationally renowned beach destination. The temple of Anantha, the Sri Padmanabhaswamy temple. Munnar the gateway of Hills in South India. On the way you can also watch the lovely waterfalls of Cheeyappara & Valara. Thekkady, it offers diverse attractions wildlife sanctuary, hill station, and spice plantation. 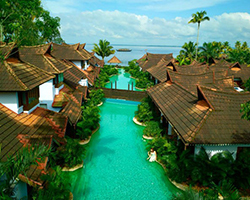 Explore the best of kerala with our best kerala tour packages now..